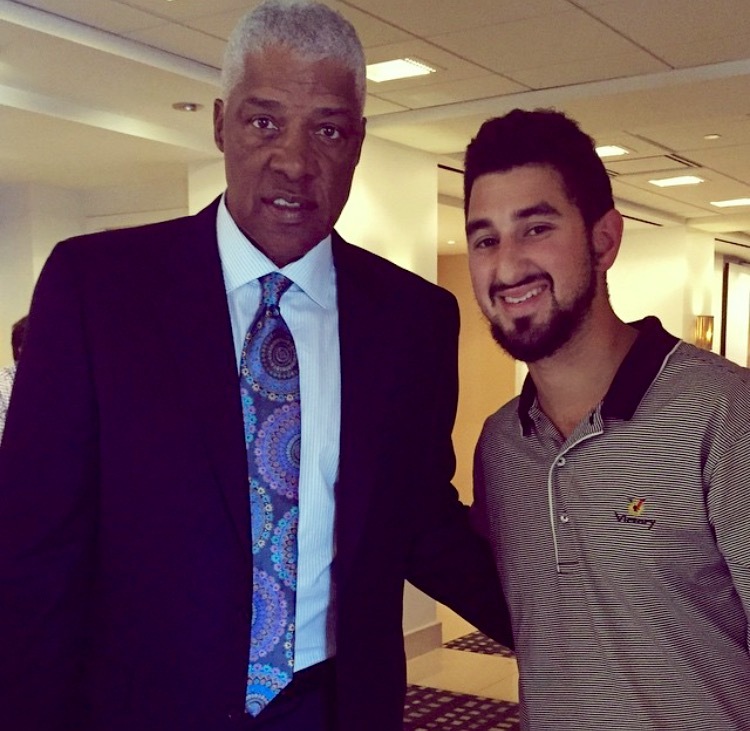 Instagram handle @pele21graphs enters the iFolloSports.com Photo Submission Contest with a picture of he and the great Julius Erving. @pele21graphs met Dr. J at a charity event in Los Angeles. Erving is one of the greatest players in both ABA and NBA history, winning ABA MVP in 1974, 1975 and 1976, while earning NBA MVP honors in 1981. The Long Island, New York native’s ABA résumé also includes 5 All-Star appearances and 2 league titles (’74, ’76). Upon coming to the NBA, the now 65-year-old was selected to 11 All-Star Games, amid leading the 76ers to the 1983 NBA world championship. Erving was elected to the basketball hall of fame in 1993.